Deciding on the best time to invest is a dilemma that causes many first-time and seasoned investors to struggle with. Understanding how the markets work is your best bet for generating a return on your investment. A bull market is defined as a point in time when there is investor confidence, and the price of a particular stock, commodity, or investment has and continues to grow in value. It is called a bull market based on the way a bull attacks by thrusting its horns upward. Bull markets occur when an investment has made significant gains over a period of time, not when an investment makes little growth over a few weeks. For clarification purposes, the opposite of a bull market is known as a bear market. This happens when an investment decreases in value and loses investor confidence. It is called a bear market based on how a bear attacks by swiping its paws down. In a bear market a particular investment has not gained any real value in quite some time. 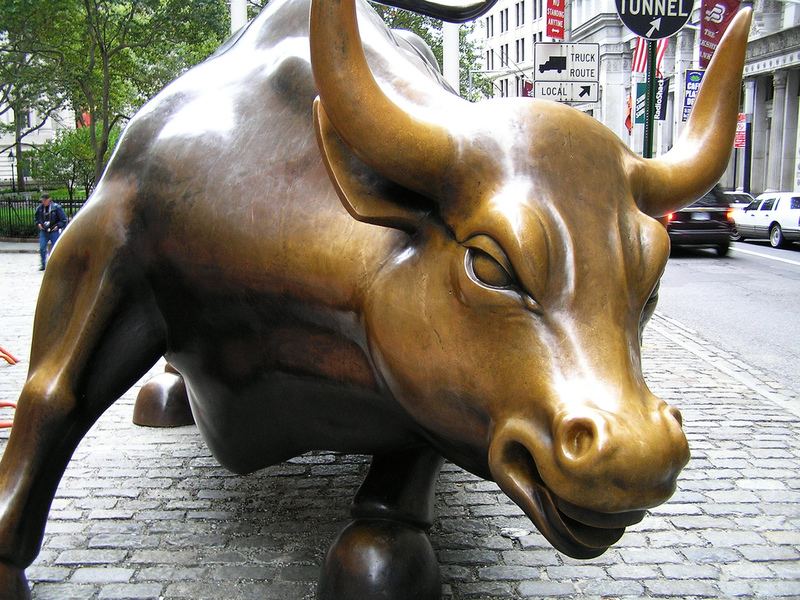 The first stage of a bull market is when an investment first starts to gain momentum. This is when an investment has picked up in value and popularity and when people have their eyes on it, yet it is not steady enough to be seen as a truly worthwhile investment. As interest in the investment increases, more information runs widespread on television and respected news publications about the positives and negatives of the particular investment. The second stage in a bull market occurs when an investment has caught the attention of all types of investors, both casual and professional. Trading occurs regularly and the value of the investment significantly increases every month. People like to buy and sell around this time to cash in on old investments, or to make a quick profit by buying and waiting a few months to resell. The time to buy and sell is at its best during this stage of a bull market, and everyone is aware of it, which makes buying and selling fairly easy. The last stage of a bull market occurs when the market for a particular investment slowly loses value over an extended period of time. This happens when hype of an investment begins to die down, and people are not as interested in investing money into it any longer. There is a lack of new investors putting money into the market, so the value of the investment begins to spiral down. Many investors are in denial during this phase, and feel the investment will rebound. This naturally happens with all types of investments. As prices drop the number of sales significantly decreases, and selling the investment is not as easy, thus inevitably creating a bear market. Just like any other type of investment, gold is influenced by market conditions at a particular time. However, when it comes to gold, we often advise our clients against getting into timing the markets and playing the buy low, sell high game. Gold has been a store of wealth for thousands of years and has outlasted the world’s currencies. The timeless advice, “Buy Gold and Wait, Don’t Wait to Buy Gold” holds true. The beauty of gold is that despite bull or bear market conditions, gold has traditionally produced a positive return over time for individuals that view it as a long term investment. American Bullion recommends that every portfolio should have a tangible investment in gold or silver. An investment in metal helps protect against inflation and unpredictable markets. Gold has managed to grow in value despite fluctuations in the market. Contact American Bullion if you are interested in investing in gold or silver. We help clients invest, roll over, or transfer funds into a precious metals IRA. The process of rolling over funds is both tax-free and hassle-free. To speak with a precious metals expert that can help diversify your portfolio call 1-800-326-9598.